For your Friday Date Night Experience: Wine Lessons! 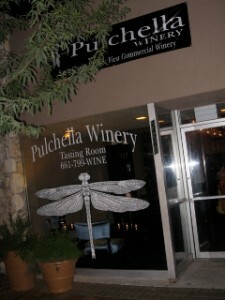 Pulchella Winery presents a 4 week wine education series, specifically designed to travel the world and increase your knowledge of wine tasting and food pairing. Prepare yourself for a relaxing, intimate and educational evening on our new back patio lounge with wine expert Jeff Prange (Jeff has a Level One certification from the Court of Masters Sommelier Guild and the Pulchella Winery Tasting Room Manager) who has dedicated his passion for many years to the wine and restaurant industry. The world of wine can seem pretty intimidating for both new and experienced wine drinkers. With so many types of wine and so many wine producing regions, it’s very easy to stick only to familiar wines, rely solely on critic’s scores or ratings, or even give up on some wines altogether. Wine Tasting Basics is a class designed to make wine more accessible and answer all of the questions you may be too afraid to ask. Everything from proper wine tasting methods to how vineyard location can change the flavor of the wine will be addressed. This will be a fun, yet informative class held in a casual, discussion-like format. All wine is included in the price. Here in America, we tend to drink wine as if it were a cocktail. We think nothing of mere sipping a glass of Cabernet while sitting at the bar. For most of the world, however, wine is usually a very important accessory to a meal. This class will help you gain knowledge on how to select great wine to drink with whatever you are eating. We will discuss general rules and methods for pairing wines while tasting Pulchella’s wines, with food specifically catered to match. Come prepared to taste good food with great wine, and learn in a fun, intimate environment. All food and wine is provided. Both classes will be offered twice, so that you have an option of dates to attend. Because class sizes are limited to 12 people each week and will fill up fast, classes must be reserved and prepaid. When registering online, if you have never ordered from our online store, please register as a new guest regardless if you are a Wine Club Member or not. Come join us for a truly unique opportunity to explore the world of wine. Each class is held on Friday evenings from 7:30pm to 9pm.